You'll see these silly lists pop up from time to time on denier websites all over. A list of supposedly "failed" climate predictions. Many of them you won't find anywhere else at all. It's as if the deniers just made them up. "Surely they wouldn't stoop so low", I hear you say. Oh, you didn't say that at all? Anthony Watts has just put up such a list (archived here). He said it was a list to answer the question of "what was predicted by scientists and activists 25 years ago that would be a result of global warming." and "The original post was asking for a list of failed climate predictions". I couldn't find any trace of Professor Rahmstorf saying this, though it was plastered all over a lot of denier websites. 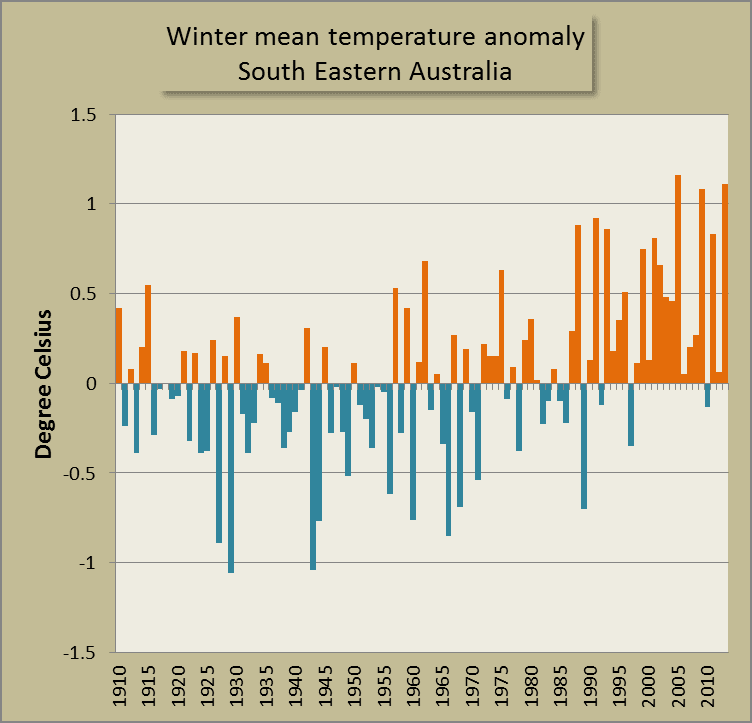 I can say, without a shadow of doubt, that winters in my local region have become milder. I don't know about yours. If he did say it, then I'd rate this as scientist pass; deniers fail. Between 2021 and 2050? How do they know it has failed? Perhaps these deniers have a time machine. Incidentally I did a search of www.mpimet.mpg.de for that quote. I couldn't find it. That doesn't mean it doesn't exist. The deniers have obviously chopped so much out of it to try to squeeze it into a "failed" prediction. Strange they left in the part about 2021 and 2050 though. The Alps are particularly sensitive to climate change, and recent warming has been roughly three times the global average. The years 1994, 2000, 2002, and particularly 2003 have been the warmest on record in the Alps in the past 500 years. There are lots more like the above. There are also lots of quotes from magazines and newspapers. Lots of them aren't buying the list. Some are falling for it, but they are as bad as Anthony Watts or even worse, if possible. Surprisingly, there were a few deniers who thought the list was silly. But most people who comment at WUWT are, as expected, fake sceptics or weirdos who can't see that the listed predictions had either already come to pass or were about the future. This list should be more thoroughly completed, continually updated, and have the names and employer of each listed. Then nailed on the door of every high school, college, university, news station, et al as the ’107 theses’. If there is no accountability for these predictions there is no stopping them. My prediction is we’ve started a nasty cold period that will make the 1960s look balmy. We’re about to get caught with our pants down. And a few molecules of CO2 is not going to change it. Yet only two years later, we had the equal hottest year on record. Here's what his prediction would look like in the context of the prior 140 years. At that point you'll discover that the text (which read rather strangely) reads strangely because its been auto-translated from German to English. Also, the rather odd "Climate models… over 20 times more precise than the UN IPCC global models" becomes "over 20 times more precise than the UN IPCC global models" which makes more sense: what its saying is that REMO is a regional model, and has a 20-times higher *spatial* resolution. The removal of the word "spatial" is clearly a deliberate attempt to confuse people into thinking that the claim is the model is 20 times more accurate. Its also deliberately faked, because they've written "climate models" not "cliamte model", which is in the original (translation). So this is even more dishonest by the denialists than you might have thought. Though I expect AW is merely guilty of thoughtlessly repeating tripe, in this case. A tidy bit of inspection work there, WMC. Thanks for the insight. David Archibald in Energy and Environment, 2006. Notice: "data from five rural, continental US stations"
Like this in my local: http://www.weerplaza.nl/ginc/redactie/images/25feb13-winter13-temp.jpg . To include winter 2013-14 add a bar at 6.0° C (and forget it, you'll find nothing like that before 1990 even going back to 1706 or whatever). Today the far southwest of the country has remained frost free for a whole year. Never happened and might 've been unimaginable even last year. Longest stretch of 20+ days before half April was one. Today we are likely to add #6 to the stretch already counting 5. Might've been unimaginable even last year (though cRR announces all the time and likes the silence when it happens). A bit of googling reveals that the original list comes from notrickszone and first published many moons ago. Was there any attribution by Watts? Copyright breaches seem's to be the latest of infractions by Willard. Must be getting desperate. Can't find anything new to post about, so lets trawl up some old list, and come up with a new headline. Anything to keep the gullible and feeble minded readership happy. Hilarious. I note that Hansen's floods in New York has been erased from deniers memories now that it has gone from being ludicrous alarmism to an inevitable consequence of weather variability. Where climate science has failed it is where climate scientists were far too conservative in their predictions. Most were couched in terms of 'by the 2050s' a timescale that was no doubt noted by deniers before they made their career choice. But poor old Anthony cannot point out the conservative nature of the predictions because he has been busy denying it: that our freak weather is related to climate change, or that Arctic summers might be ice free in a decade or two. 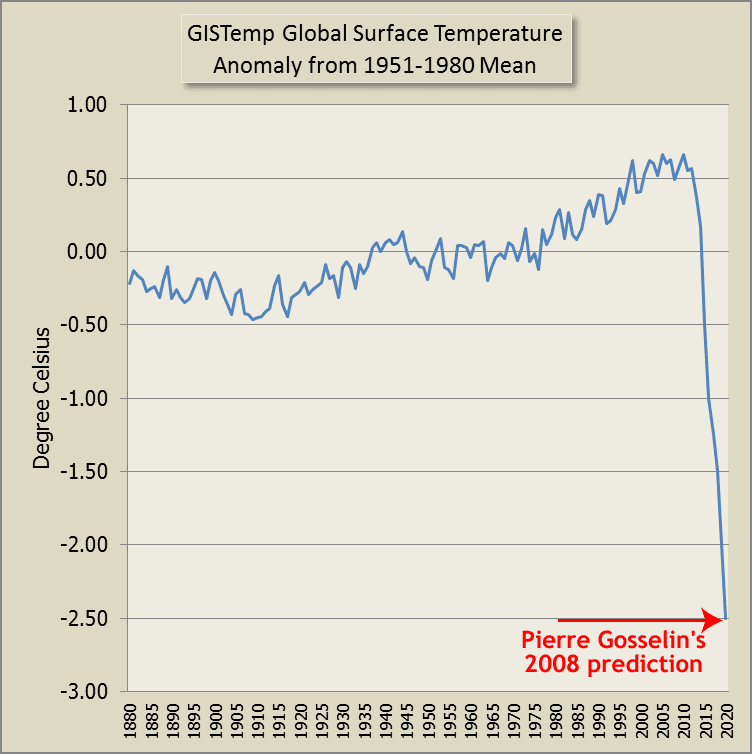 How many dollars did Pierre Gosselin receive from the ~$2.5 billion allocated by Obama to "Combat Climate Change"? Original link to Professor Rahmstorf comments. Hearsay, unfortunately but published on Potsdam website. And yet thousands visit WUWT and how many visit your blog? Keep it up - you're winning! Not. Anonymous, if science were a beauty contest, number of hits on a site might be worth something. Since it isn't, it doesn't matter whether Sou gets one hit per day or a million. The science is dependent on evidence. By the way, Anon. What is your position on the 97% consensus? Gee, now all you and these 'winning' hordes need to do is vote in some new laws of physics!